We’d love your help. 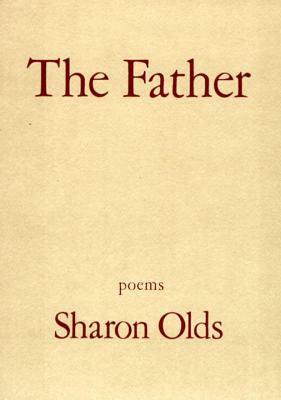 Let us know what’s wrong with this preview of The Father by Sharon Olds. The Father is a sequence of poems, a daughter's vision of a father's illness and death. It chronicles these events in a connected narrative, from the onset of the illness to reflections in the years after the death. The book is, most of all, a series of acts of understanding. The poems are impelled by a passion to know, and a freedom to follow wherever the truth may lead. The Father is a sequence of poems, a daughter's vision of a father's illness and death. It chronicles these events in a connected narrative, from the onset of the illness to reflections in the years after the death. The book is, most of all, a series of acts of understanding. The poems are impelled by a passion to know, and a freedom to follow wherever the truth may lead. The book goes into area of feeling and experience rarely entered in poetry. The ebullient language, the startling, far-reaching images, the sense of extraordinary connectedness seize us immediately. Sharon Olds transforms a harsh reality with truthfulness, with beauty, with humor--and without bitterness. sigh... what happens when angry poets forgive and grow soft....you can read this if you like well-rendered sensitivity in the face of the slow decay of the body of a parent. i prefer her sally mann-ish fetishization of her children's bodies and her own child-rage. but i'm unpleasant. I should start a "Death" shelf for Goodreads. I gravitate toward so many books, apparently, about death and the dying. This book of poems struck me in a raw, tangible way, reading it so fresh on the heels of my beloved grandmother's passing. Sharon Olds writes plainly and beautifully as she watches her father die and then copes with his absence and all that entails. She captures all of the gut-wrenching elements of grief with honesty and poise. The doctor said to my father, “You ask I should start a "Death" shelf for Goodreads. I gravitate toward so many books, apparently, about death and the dying. to tell you when nothing more could be done. with the dignity of a foreign leader. I sat beside him. This was my father. Not only my favorite book of poetry, but quite possibly my favorite book ever. Whenever I want to feel something, I read this book. I have probably read it a hundred times and uncovered a different individual emotion with each read. It is a horrifyingly beautiful story that pushes the reader to explore those undusted corners of his/her own closest relationships. que toda su vida guardó dentro de sí." While reading this, I kept wondering how something so beautiful can be so painful, or maybe how something so painful can be so beautiful. It's powerful, honest, raw. It's soothing and disturbing, tender and violent, just like poetry should be. Todo el cuerpo cabe en un poema: la víscera y la idea; lo amado y lo aborrecido. Todo lo delgado y áspero entre la vida y la muerte. Todos los poemas caben en el cuerpo. My father’s dying is not evil. it is out of the moral world altogether. contracts, and his mouth makes a Todo el cuerpo cabe en un poema: la víscera y la idea; lo amado y lo aborrecido. Todo lo delgado y áspero entre la vida y la muerte. Todos los poemas caben en el cuerpo. saliva like ivory clay from the side of his mouth. don't read this in public if you're prone to tears, but do read it in one sitting if you're able. a stunning tribute to her father through a chronological narrative of his death. something to come back to, to hold on the shelf for the time you will need it. Awesome. Took me a long time to read as my own father was dying, and this was just way too intense. Now 6 months after his passing, it was possible to return to it. Olds’s depth of perception and emotional honesty is amazing. The focus on the body and how it changes reminds me of the guided body meditations in vipassana as well as contemplation of dead bodies in Tibetan Buddhist tradition. Practices designed to develop wisdom and acceptance of death. This is incredibly disturbing and sad, but beautifully and masterfully written. It seems Sharon Olds never disappoints me. My relationship with my father was shaky and I can relate to each poem in this book. Sharon Old is one hell of a fantastic poet. LOVE her work. Duro, hermoso, desgarrador. Olds se desnuda de manera literal y figurada un millón de veces para el mundo, ofreciéndose a compartir la angustia de su duelo. No se sale ileso de este poemario. Years ago, a poem of Sharon Olds’ entitled “Saturn” had an impact on me because it gave me an image of a father lying on a couch, consuming his child (like the Olympian god) by indifference. This caused me to pay attention to Sharon Olds at the Dodge Poetry Festival, and to buy her book, The Father, which describes her experience caring for her father as he approached death. The image of the drunken father lying on the couch does recur, but the poet is by no means consumed by anger. On the contr Years ago, a poem of Sharon Olds’ entitled “Saturn” had an impact on me because it gave me an image of a father lying on a couch, consuming his child (like the Olympian god) by indifference. This caused me to pay attention to Sharon Olds at the Dodge Poetry Festival, and to buy her book, The Father, which describes her experience caring for her father as he approached death. The image of the drunken father lying on the couch does recur, but the poet is by no means consumed by anger. On the contrary, she conveys complicated feelings of both love and hate, brokenness and forgiveness. Since I, in the last year, have experienced the death of my mother, I was especially attentive to how the poet reported the detail of her parent’s decline, how she expressed her feelings about her father, and how she saw her father experiencing her. By her own admission, Sharon Olds likes to be “naughty” and to “misbehave” in her poetry, and her daring served her well by going into territory which is real, but not polite, in graphic detail and with visceral images. The final test was that she worked through a painful part of her life, and she took her readers with her all the way. I admire her fearlessness and her impartiality. She didn’t cop an attitude; she told it like it was. Sharon Olds is terrific, but this work is not enjoyable. I did not say that it is not good, but that it is not enjoyable. This entire collection is about her father's dying and death. Olds never pulls punches and these poems are extremely visceral. Not pleasant, but I can see how the book can be appreciated and how, on some level, even comforting to one going through a lengthy death of someone close. Not for me, but perhaps you will be more appreciative. Magayon ining saro ta garo kadakul pangyayari sa saro sanang tema—an ama kan kag-obra. Tibaad nagkahilang si ama niya, tapos narahay. Tapos nagkahilang giraray, tapos narahay. Tapos nagadan. Sa huring pahina, nagpaparataram an ama sa irarom kan daga—kaya gayod an cover niya, garo dai matapostapos na lapida. La honestidad brutal de Olds atraviesa estas bellas y tristes escenas de una hija en el lecho de muerte de su padre. He aquí «el mundo, la noche, el sueño, el cuerpo del hombre en toda su belleza y su terror». Sharon Olds’ strong details of her failing marriage are tragic and relatable. Olds writes with the utmost grace, candor and honesty. She shares all — the deepest parts of her uncertainty, hurt, lust and life. In sharing this with us readers, Olds becomes one of the strongest poets. These poems are about a father's slow death, and much more. The truth and courage in the telling are evident. If you're a lover of poetry, or even of lovely language, pick up this book (or any of Sharon Olds). Powerful line meaning and strong defining images anchored me to this book. I lost my father in the same slow way and also chronicled his end and death, so the tension and images in this book of poems were very real for me. I'm not sure I ever finished reading this one. It was ... unpleasant. I mean, Sharon Olds is hot and all, but sometimes she disturbs me. On the other hand, that is likely her intent. Mission accomplished, Olds! I learned that a book of poems also must have a story arc. Exquisite writing. Compelling images. Haunting. A harrowing sequence about a daughter facing her father's cancer and mortality. Good--felt much less uneven than many of Old's other collections. At times gripping and horrifying. Possibly out of fashion in it's intense confessional nature.